Home ...of Interest Another Series 18 Contest! 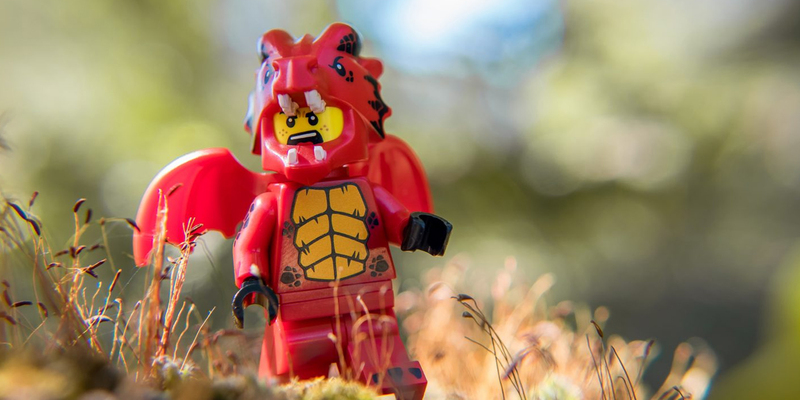 Toy Photographers have been invited to work with the LEGO Minifigures team and the LEGO group, together with other toy photography communities, on a Series 18 Minifigures contest on Instagram. The contest runs from April 16th until May 21st. The idea of the contest is to celebrate the Series 18 launch, encouraging fans to upload their best Minifigure party photos with the hashtag #Series18. It is not a requirement to use the Series 18 Minifigures in the photos. But fans are of course welcome to do so. Several toy photography communities host this contest, and they will each nominate their favourite photo. The LEGO group will then handle sending the prizes to the winners, once we have each selected our winners. That’s one winner from each toy photography community that’s been invited to participate in this amazing contest! • an exclusive Series 18 poster signed by the LEGO Minifigures designer. We’ll be looking for entries from those who use the #Series18 hashtag, follow @_toyphotographers_, and use the #toy_photographers_series18 hashtag to pick our favourite entry. The LEGO Group would like to utilize the content uploaded to this contest, with the LEGO Minifigures team using their favourite photos as part of the marketing campaign for the Series 18 Minifigures. The LEGO Group will notify people if we wish to use their photos. Not only could you win that amazing prize package, your photo could be used by the LEGO group as part of their marketing campaign for the Series 18 Minifigures. Wow! Thank you, Maria from the AFOL Engagement team at the LEGO Group, for inviting the Toy Photographers community to be a part of this wonderful contest. And thank you to the LEGO group for providing the amazing prize packages for each of the winners. We’ve only just finished our Toy Photographers Series 18 Minifigures contest, so I’m sure you’re all still in the party mood. Good luck! This is a great recognition from LEGO! Keep up the good work! Cheers Marco! It’s a fun contest to be involved in, and it’s cool to be working with other toy photography communities too! Yay! Can’t wait to see your entries! A great contest, I have so many ideas! Can I use minifigures not only from different series but also from sets? Thanks! All Minifigures are invited to the party, so series and sets Minifigures are welcome! Do we have to use the two tags and follow on Instagram or can we just use the tags? ‘Cause I don’t do Instagram. Unfortunately this contest is only running on Instagram. This was decided by LEGO who are running the contest and taking care of all the prizes. We are helping out by spreading the word and selecting a winner from within the Toy Photographers community.